On Saturday, June 27, 1959 Charles Handfield Wyatt IV took Janet Louise Blair, daughter of Mr. and Mrs. Nelson Augustus Blair, for his wife. 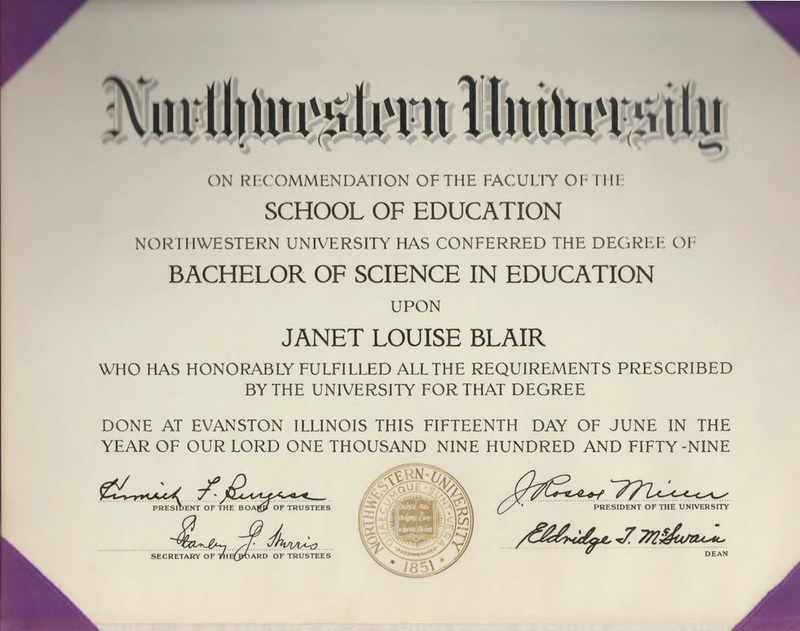 It was just two week after they both had graduated from Northwestern University, Evanston, Illinois. He with a degree in Chemical Engineering and she in Primary Education. The following is their wedding album.